Win Two Top Gear Books with QuoteSearcher! Home Blog Win Two Top Gear Books with QuoteSearcher! Here at QuoteSearcher we love Top Gear as not only is it great for car fans but also kids who can’t get enough of fast cars and cheesy jokes. 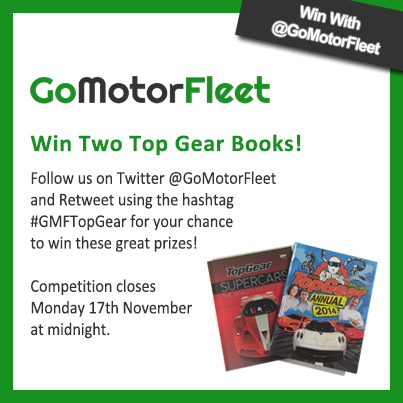 This is why in our latest competition we have decided to give away not one but two Top Gear books perfect for all ages! The Top Gear Official Annual 2014 is packed with jokes, fun facts and highlights from this year’s Top Gear episodes, while Top Gear Supercars – The World’s Fastest Cars is an excellent gift for anyone who has a true passion for engines and automotive design. For your chance to win both these great books Follow us on Twitter @QuoteSearcher and Retweet using the hashtag #GMFTopGear. Competition closes Monday 17th November at midnight – good luck!